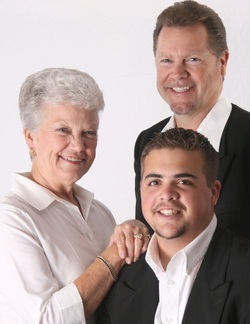 Tony Silcox, Lorraine Silcox (Tony's mother) and Caleb Silcox (Tony's Son) have teamed up to form LightSoldiers. The family has been singing for many years. What fantastic harmony this family has and is truly dedicated to the Lord's work. June, Tony's wife is their sound technician and Tony's Dad supports them in any way he can. Their latest CD release is titled . . .
and you may visit their website to purchase their CD's at www.lightsoldiers.org . The CD is made up of all songs that people have requested the trio to sing and they now have it available. GET YOUR COPY TODAY! Diane Harvey's CD is a great mix of songs that have been felt through her life and through other people. The CD is under ASCAP Member - Heaven's Door Publishing and was compiled by CAMA, Inc with their singers singing Diane's unique songs. AN ADDED BONUS TRACK to the new CD "Hometown Gospel Treasures"
Please SUPPORT OUR CAMA SINGERS by purchasing CD's for a gift for a family or friend. 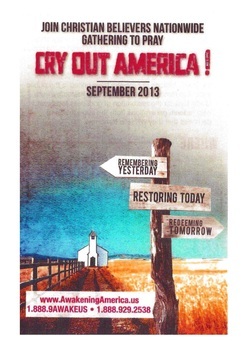 The prayer initiative was birthed in the patriot hearts of America following The terrorist attacks on September 11, 2001 and this year 2013 is the 12th anniversary. 1. To remember the sacrifices of yesterday. 2. Seek God's face for the restoration of godliness today. darkness that they will face tomorrow.